At Action Sheds Australia, we carry the Endurance brand of workshop and storage sheds. These represent a great storage solution for a lot of people, because of their versatility, strong build and customisation options. So, recently, when Tom from Bibra Lake needed a storage shed, we agreed upon an Endurance structure. 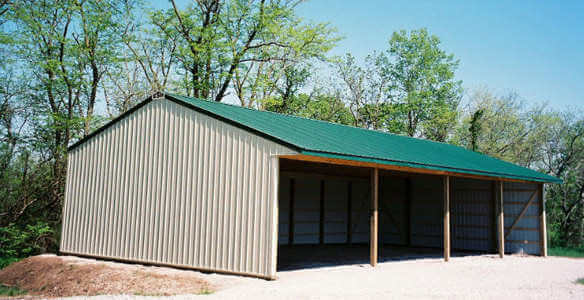 Endurance storage sheds, like all of our products, are ShedSafe certified. That means that everyone who has touched them, from manufacturing to sale to installation, has undergone training to ensure that they are qualified to manufacture, recommend and deliver a shed that is appropriate for such factors as use, terrain, projected wind and other factors relative to your climate. The Endurance is strong and secure enough to keep your vehicles and tools in. The portal frame is a roll formed C section and the roofs can be pitched from 7.5 degrees to as high as 30 degrees. Bays of up to 4m are available with 64mm top had purlins and girts. The wall and roof sheeting allows a choice between Lo Rib, TL-5, or Corrugated profiles. Barge and Ridge flashing are included and there are many optional items, such as sliding doors, personal doors, a roller door, windows, skylights, carports and side awnings. The installation went well from our end, resulting in a client who was very satisfied with our work. Tom was particularly impressed with our attention to detail — this is no accident. We pride ourselves on our attention to detail and our treatment of every customer as the most important person in the world at that moment. We want to make sure that anyone who orders a shed from Action Sheds Australia will feel like we not only provide everything they pay for, but will also be genuinely surprised at the superior quality of service we render. Sheds are what we do at Action Sheds Australia. Providing, recommending and installing sheds are our collective life. We leave no stone unturned in making sure that every installation winds up perfect and every customer gives us rave reviews for both the quality and the willingness of our customer service. Visit Action Sheds Australia and experience our customer service for yourself. You will get a great shed out of the deal too. Call 1300 778 628 today.